The chicken world has three blue-egg layers: the Ameraucana, the Araucana, and the Easter Egger. 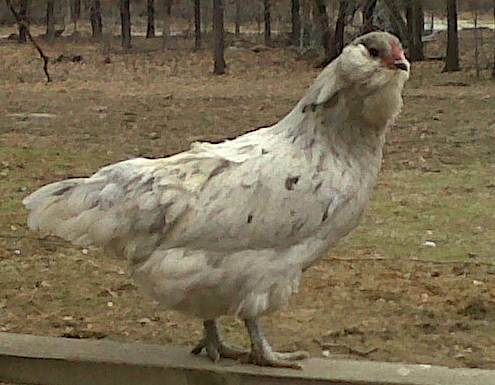 The American Poultry Association (APA) only recognizes the Ameraucan and the Araucana as pure bred, blue-egg, breeds. Considered good layers, The Ameraucana, lays three, medium blue eggs a week. For many years the poultry industry believed and advertised that blue eggs had lower cholesterol and higher nutritional value than white eggs. Researchers have long since proven that blue eggs have the exact same cholesterol and nutritional value as any other egg. 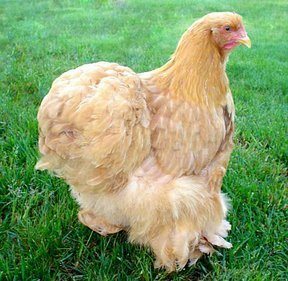 Owners describe their Ameraucanas as sweet, docile, good-natured chickens indicative of their name and international pedigree. 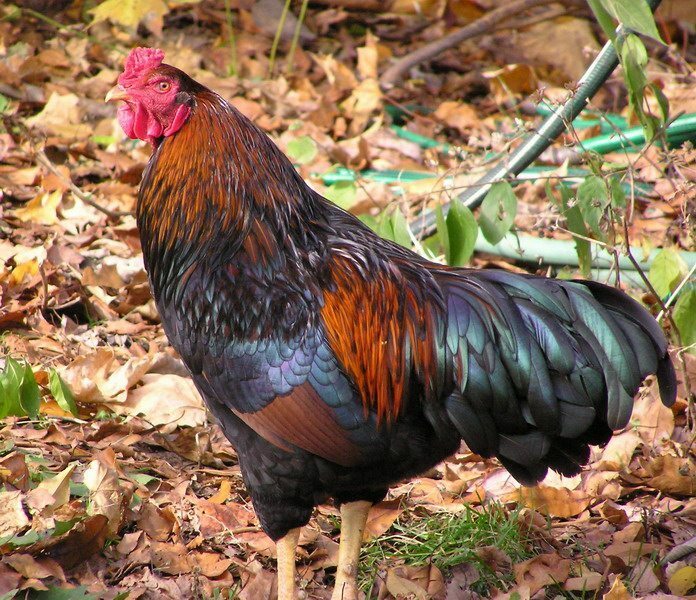 Linguists call the word “Ameraucana” a portmanteau which means word blending. The word “Ameraucana” comes from the blending of “American” and “Araucana.” The word captures beautifully the history and temperament of the Chilean Araucana chicken blended with an American pedigree to produce the appropriately titled Ameraucana. The adult Ameraucana has feathers on the sides of their heads called a muff and feathers under their chins called a beard. They have a pea comb and small wattle. Unlike their close cousins, the Araucanas, Ameraucanas have a full-fledged tail. Ameraucanas come in many different colors which makes breed identification difficult for first-time buyers. If you want a pure bred Ameraucana, experts recommend that you buy chicks only from reputable breeders. See http://www.ameraucana.org/ for a list of breeders. 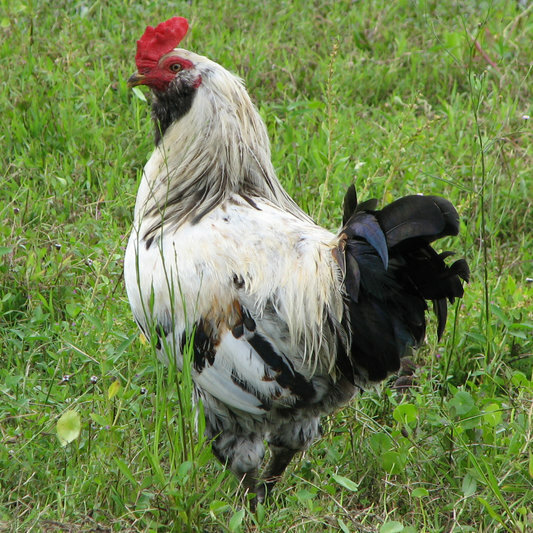 Many backyard chicken farmers believe that they have Ameraucanas in their coop. In reality they have Easter Eggers sold to them by a disreputable hatchery. A hardy breed, the Ameraucana handles confinement well; however, like most egg layers, they do enjoy foraging during the warmer months. Egg laying depletes protein and calcium from the hens. Supply extra calcium in the form of crushed oyster shells. Protein enriched feed or a little cat food helps supplement their protein intake. Ameraucana roosters have an aggressive streak. Keep them separate from the hens and each other unless breeding. Of course, any chicken benefits from a clean coop, fresh water, and an unlimited food supply. The Ameraucana came into existence by default through a decision made in 1976 by the APA. Prior to 1976, the world had two kinds of Araucana chickens: the tufted, tailless bird and the bearded, muffed fowl. At the APA convention in 76’ the standards committee settled on the tufted, tailless chicken as the standard for the Araucana breed. Almost immediately the breeders of the bearded, muffed chickens formed their own association called Ameraucana which gained acceptance into the APA as a legitimate breed in 1980. 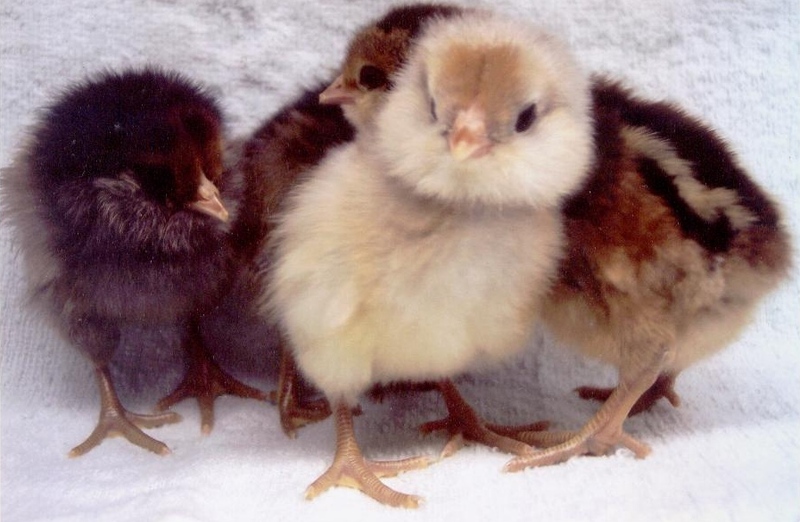 Unfortunately, hatcheries often advertise Ameraucana chicks for sale, but they actually sell the mixed-breed Easter Egger. Pressure from the public has caused some hatcheries to issue a disclaimer saying that they cannot guarantee the purity of their breeds. If you have already purchased chicks, how can you tell what you have? If your chickens lay green or pink eggs, then someone sold you Easter Eggers.